North India Tour And Travels offers impeccable services to its clients in Amritsar in the travel and tour industry. With 20 years of experience in the travel industry, we boast of unparalleled services to our clients giving them tailor-made services. Our packages are affordable and cater to all kinds of clients depending on their financial status. 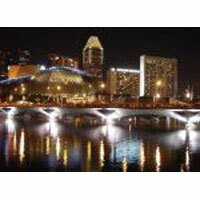 We have special Singapore Tour packages wherein you can book flight tickets at a very cheap rate and explore so much. Little India, a multi-ethnic centre of ethnic Indian population, a shopping hub for ethnic Indians who love to shop and eat; Chinatown, a Chinese dominated area, and Sentosa Island with attractions like underwater world, blue lagoon are places you cannot afford to miss out. Our packages cover beautiful and exotic places wherein you can explore, learn and enjoy to the fullest with comfortable journeys and unmatched services. Also, you will not miss out the extravagant landscape and exotic beauty of Singapore.